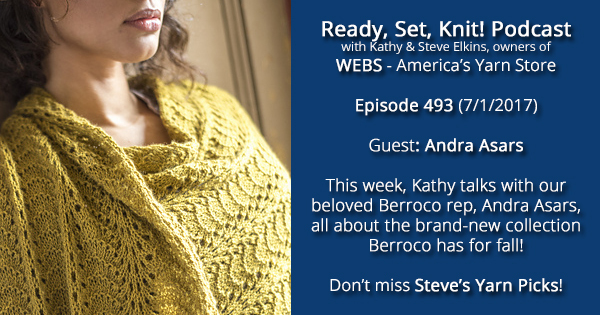 Today on Ready, Set, Knit!, Kathy is interviewing Andra Asars, our Berroco representative and longtime friend of WEBS! Kathy and Andra are having a great conversation all about the four new Berroco releases for Fall ’17, Quechua, Bento, Catena, and Millefiori Big. As always, these new yarns come with fantastic pattern support crafted by the Berroco design team. You won’t want to miss this! 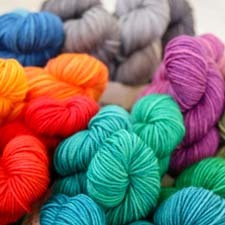 Check out the pattern collections for these yarns! There are tons of fantastic garments and accessories, with great styling ideas! Tram Silk Grab Bag – One time only! Italian Silk Grab Bag – One time only! WEBS will be CLOSED Tuesday, July 4th (store and shipping), but you can shop online! The New England Weavers Seminar is being held this year at Smith College, just minutes from WEBS, here in Northampton. Check out their website for more information! WEBS is holding our first-ever Spinning Summit this fall! From September 29th through October 1st, we’ll be holding classes, special Sunday shopping hours for participants, and other exclusive events. Our teachers include the amazing Jillian Moreno, Abby Franquemont, Amy King, and Beth Smith! Check out our brochure over here! This entry was posted on Saturday, July 1st, 2017 at 9:17 am	and is filed under Products at WEBS, Ready, Set, Knit Podcast. You can follow any responses to this entry through the RSS 2.0 feed. You can skip to the end and leave a response. Pinging is currently not allowed.